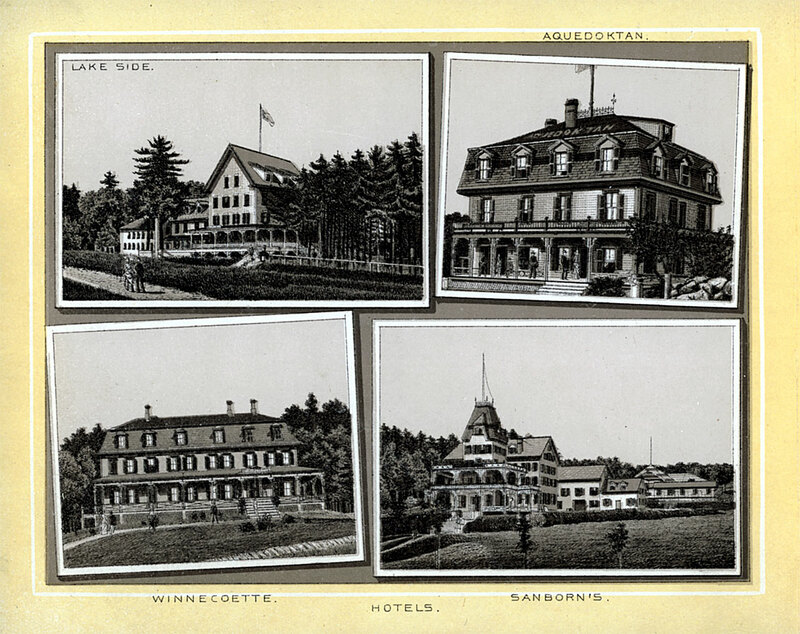 The sign over the front door of Sanborn’s that said “Hotel Weirs” is blacked out in the engraving. 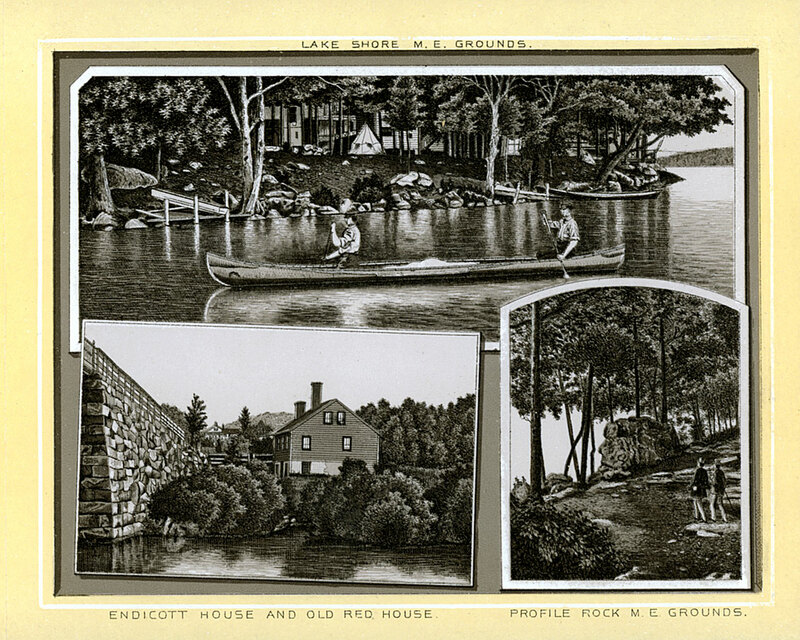 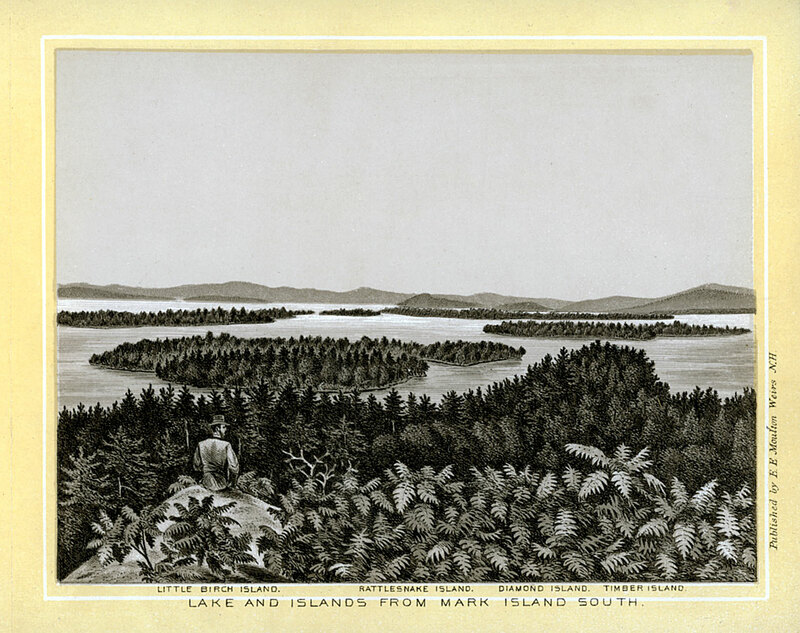 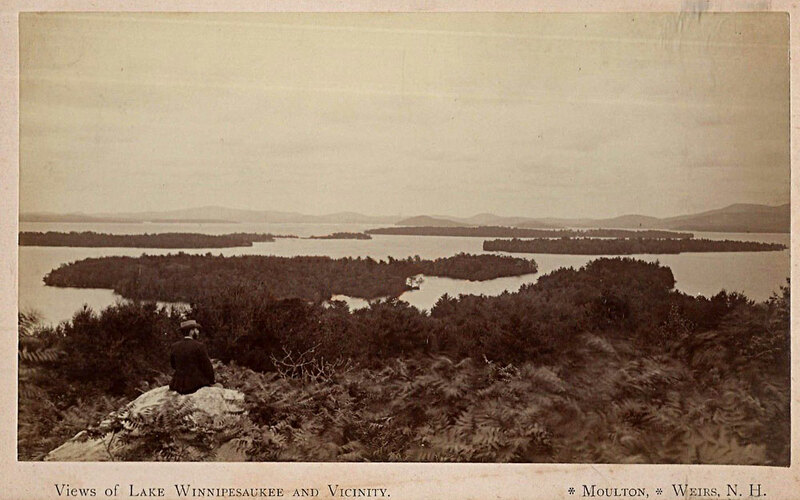 The original inspiration for many of these engravings were the photographic views of Weirs Beach taken by F.J. Moulton in the 1880s. 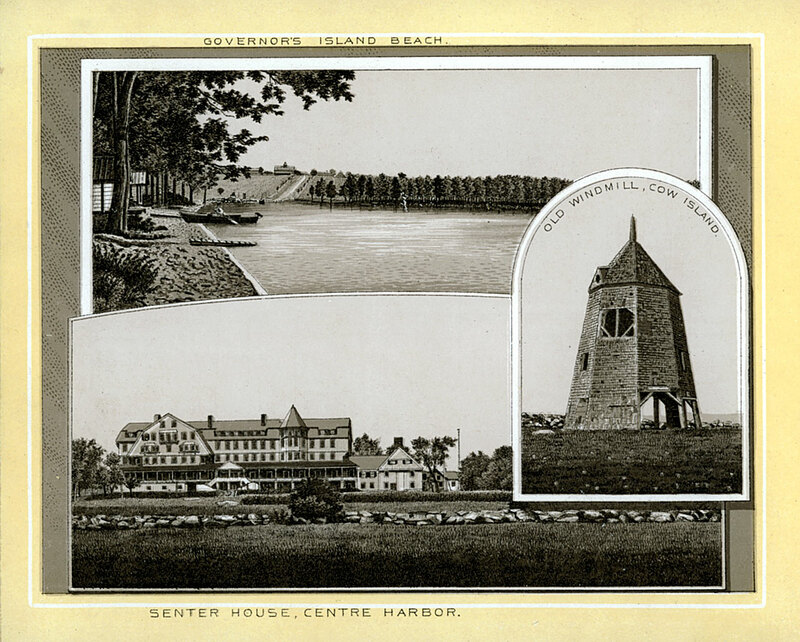 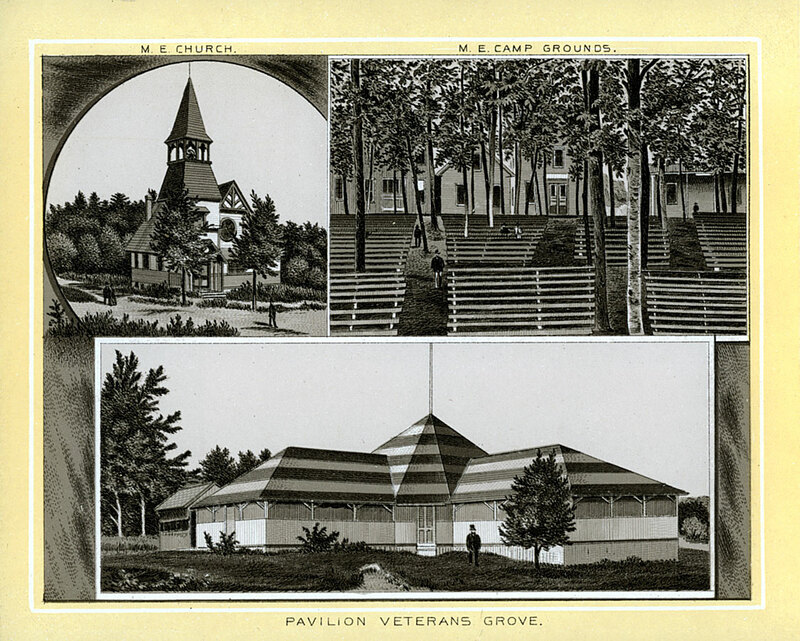 For example, note the similarity between the above engraving and the photo postcard below. 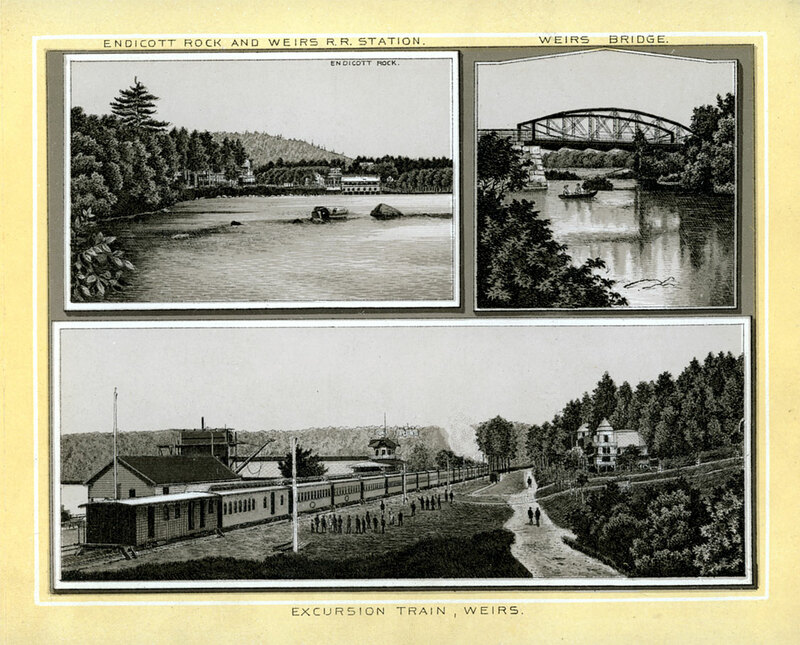 It is unknown what the familial relationship was between photographer F.J. and the publisher of the Weirs Souvenir, E.E. 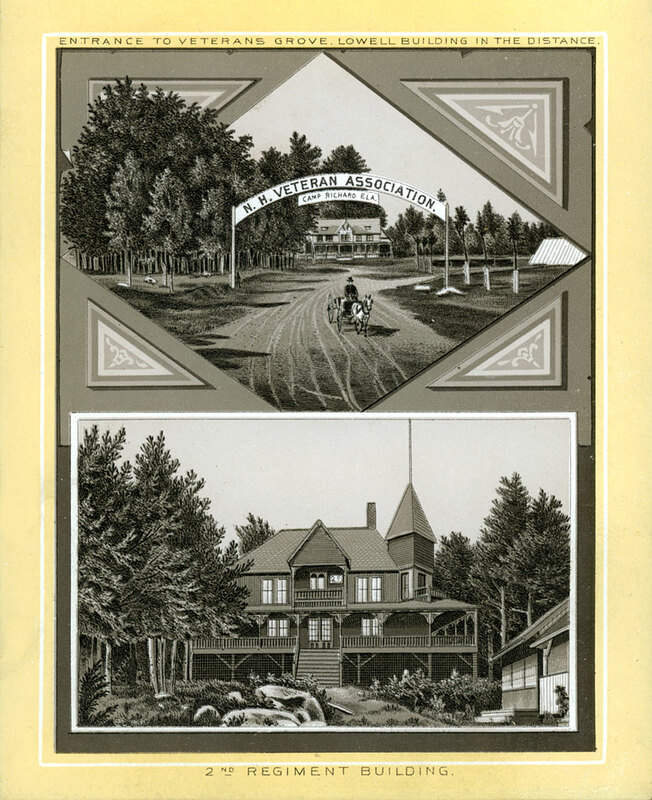 Moulton.